The Chicago Transit Authority (CTA) issued a request for proposal on the design, implementation, and operation of an open fare collection system that would introduce the use of contactless credit cards, debit cards and prepaid cards to the city’s public transit network. According to the CTA, the next generation of fare media is expected to be a contactless smart card that would contain a computer chip and operate as a standard credit or debit card, enabling CTA riders to pay their fares and also use it for other purchases. 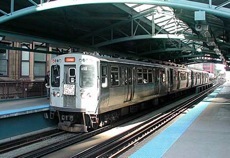 According to CTA President Richard L. Rodriguez, the current fare equipment, installed in 1997, is in imminent need of upgrading. If the CTA goes with an open fare system, the new deal would enable the agency to own all of the fare equipment installed by the selected vendor and would also maintain control over fares. Additionally, the CTA will be able to update its fare equipment without an upfront capital cost, says Rodriguez. In the first phase of the bid process, the CTA received initial proposals from 12 private sector teams on the implementation of an open fare system. Details of the current RFP are available at http://www.transitchicago.com/business/procurement_information/contract_opportunities.aspx.